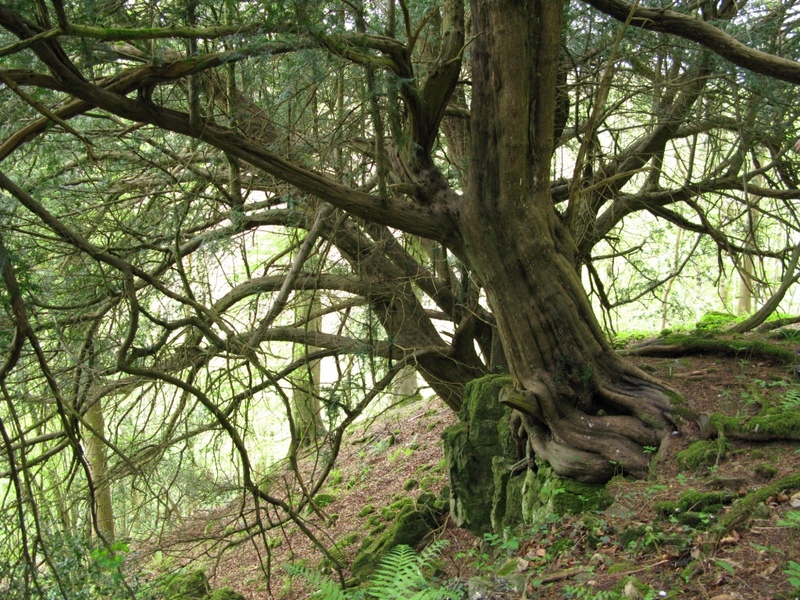 The Arborealists were formed in 2013, the brain-child of curator and artist Tim Craven after the critical success of Under the Green Wood : Picturing the British Tree, an exhibition he co-curated with Steve Marshall and Professor Anne Anderson at St Barbe Museum and Art Gallery, Lymington, Hampshire. This exhibition was formed of two distinct parts. Part one was an historical review of artists who had occupied themselves drawing and painting trees and tree-landscapes and included, John Constable, Paul Nash and Paul Sanby amongst other nineteenth and twentieth century celebrated artists. Part two featured 32 contemporary artists, represented by one work each, and included a Turner Prize short-listee and two Royal Academicians but also less well-known artists who had given trees, forests and woods a special value and who had developed new perceptions of painting and language while painting trees. The exhibition showcased a great diversity of art practice, including scale, medium, style and philosophy, centered around the unifying subject of the tree. Under the Greenwood proved a substantial critical success, and in particular Andrew Lambirth wrote a perceptive and illuminating review of a genre that was so at odds with the prevailing orthodoxy. Under the Greenwood part 2 subsequently toured to the Gerald Moore Gallery, Eltham College, South London. Many of the original group of artists and others then formed together to become the Arborealists was and included painters and printmakers. 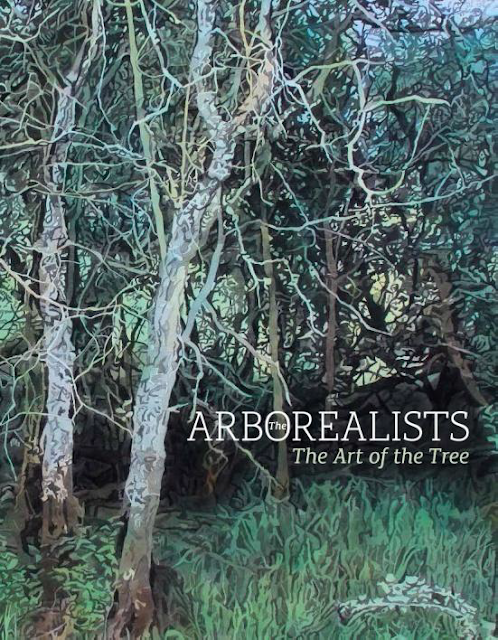 One of the precepts of the Arborealists is to invite local artists to exhibit with them when ever and where ever they mounted an exhbition in order to enrich the exhibitions. Each time they have exhibited it has been to critical and popular success. In 2014 they were invited to the Royal West of England Academy in Bristol and 2015 to the National Trust's Mottisfont Abbey, Romsey, Hampshire. The Arborealists are now regularly invited to exhibit in other venues and there are two major publications associated with them Under the Green Wood, Picturing the British Tree and The Arborealists, both published by Sansoms & Co, Bristol, 2013 and 2016. The reason for the success of the Arborealist exhibitions is threefold 1) the artists themselves , all of whom are trained professionals who often but not exclusively objectify 'trees' in their ongoing practice ; 2) as Walter Sickert observed in 1907 at the inaugauration of the Fitzroy Street Group; It is more interesting to see the work of five or seven artists than one and 3) All of us love trees and as Hermann Hesse on What Trees Teach Us About Belonging and Life says : When we have learned how to listen to trees, then the brevity and the quickness and the childlike hastiness of our thoughts achieve an incomparable joy. Les Arboréalistes forment un groupe d’artistes européens - peintres, sculpteurs, graveurs… - qui se sont donné pour but de mettre en valeur les arbres, les paysages et les forêts des pays où ils exposent. En choisissant les arbres pour thème, ils souhaitent exalter leur beauté et contribuer à leur préservation. Le peintre Walter Sickert observait en 1907 qu’il est plus intéressant de voir un groupe d’artistes traiter un même sujet, qu’un artiste seul. C’est ce principe qui a guidé l’exposition fondatrice du groupe des Arboréalistes, ‘Under the Green Wood’, en 2013. Autour du thème de la forêt anglaise, cette exposition rassemblait les œuvres de nombreux artistes au musée de la ‘New Forest’ à Lymington. Elle a rencontré un grand succès populaire et reçu l’éloge de la critique. Cette exposition est l’évènement fondateur du groupe des Arboréalistes. Les Arboréalistes comptent parmi leurs représentants prestigieux des académiciens royaux britanniques et des artistes présents dans les collections nationales anglaises. M. Tim CRAVEN, directeur du musée de Southampton, en est un des principaux fondateurs. Aujourd’hui les Arboréalistes regroupent des artistes de plusieurs pays européens, dont des artistes français. Après plusieurs évènements en Angleterre, le groupe prépare actuellement une série d’expositions en France et en Europe à compter de 2016.